Entertainment TV Channel / Capital Broadcast Center is a satellite television channel in Egypt that began in July 2011. The "general entertainment free-to-air channel" is owned by Mohamed Al-Amin. It is ranked 2nd in Egypt in terms of viewership, according to IPSOS. It broadcasts general entertainment, drama and political talk shows. 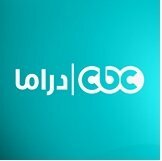 CBC has close links to the former Mubarak regime. Mohamed Al-Amin is business partner of former Member of Parliament Mansour Amer in real estate development projects at Porto Marina and Porto Sokhna. Al-Amin Ragab's top broadcasters include Lamis Elhadidy. Elhadidy was a talk show host prior to the 2011 revolution but lost her job following its occurrence. Khairy Ramandan is another top host for the network. Previously, her broadcasts existed to whitewash the Mubarak regime. The networks team also includes newspaper editor in chiefs Adel Hammouda and Magdi El Galad. Both of these editors openly oppose the Mubarak regime. Mr. Al Amin has joined a group of wealthy investors who have recognized the value of media empires. Him and many others are attempting to expand their media networks.